Curry is a well-loved spice and almost everyone’s favourite from time to time. 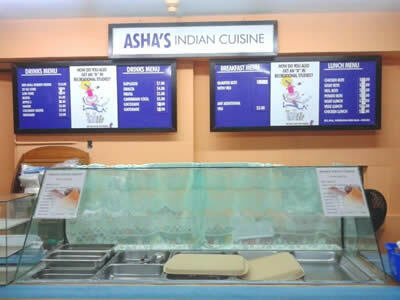 Visit Asha’s Indian Cuisine at The Student Activity Centre. Their menu features traditional dishes and just about any preferences of curried meat choices including chicken, duck, goat complemented with dhalpouri or paratha roti served with vegetables such as pumpkin, potato, bodi. Breakfast is also served with well-liked choices of sada and popular chokas. 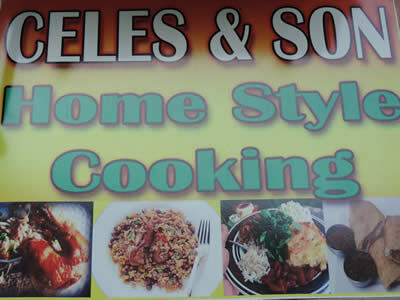 For that homestyle dining experience, visit Celes& Sons Homestyle Cooking located at The Student Activity Centre. Their menu showcases traditional home style dishes including starchy meals of rice, potatoes, combination of various meat styles, fresh salad, peas/beans and vegetables. Breakfast is also served and includes potato pies, channa pies etc. 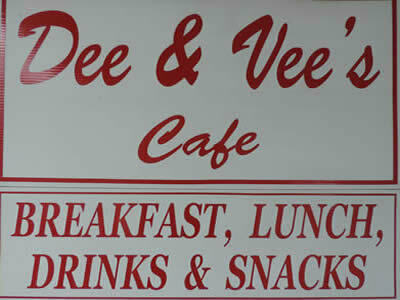 For that typical local cuisine, Dees and Vees offers an extensive range of popular home cooked meals including stewed chicken, callaloo, ground provisions, pelau, pigeon peas, rice, macaroni pie and curried meats and vegetables. Breakfast is also served with sada roti or fry bake and your choice of filling whether choka, plantain just to name a few. 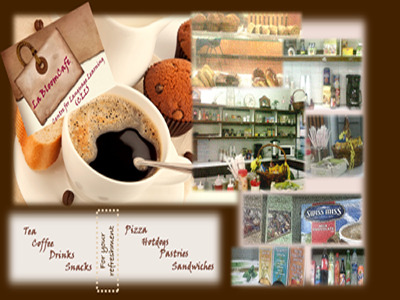 ESS Cafe provides a variety of hold and cold beverages sandwiches, beverages, pastries and other confections. 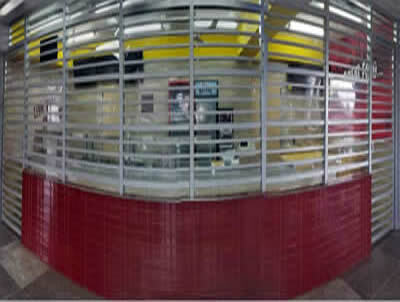 Located at the Faculty of Engineering Block 7. Everon’s Hospitality Services provides a variety of hold and cold beverages specializing in specialty coffees and custom blended teas. 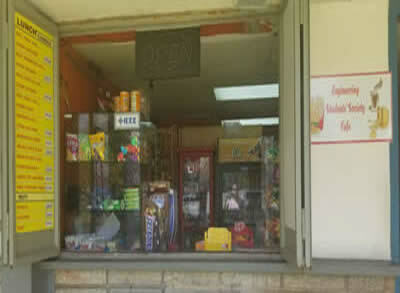 Everon also offers sandwiches, select nonalcoholic beverages, sodas, pastries and other confections. La Bloom Café serves a wide range of healthy deli sandwiches, hotdogs, teas and pies. Located at the heart of the Centre for Language Learning Building, La Bloom Café is the ultimate breakfast provider. 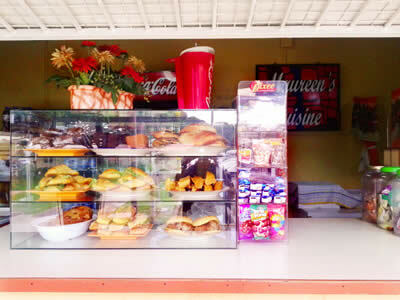 Located at the Student Activity Centre, Maureen Cuisine is an open-fronted cafe that features breakfast items such as hotdogs, sandwiches. Finish off with a sweet dessert, donuts, snacks and other confections. Marquis specializes in providing a wide range of local cuisine dishes with an additional touch of Caribbean & International and Chinese dishes complemented with fruit juices and other beverages. 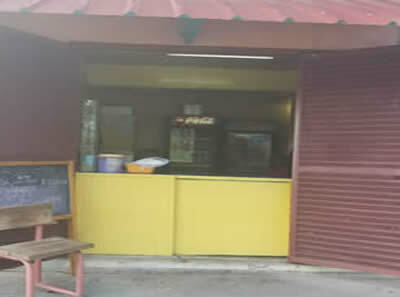 Its operations stem from its Mobile Vending Unit located at The Staff Social Club. Oriental Cuisine offers an array of continental cuisines from Authentic Indian to traditional Chinese. Grab breakfast of bake or sada roti with choices such as tomato, bhaigan or fried aloo filling. They also offer hot and cold beverages including their own juice bar. Sava da Flava offers a range of fast foods from beef burgers, grilled chicken and hot dogs to BBQ, jerk chicken, jerk pork, fried fish and lamb with sides of potato salad, fries and pasta. Small Cafe offers a blend of traditional, popular home-cooked Creole dishes. 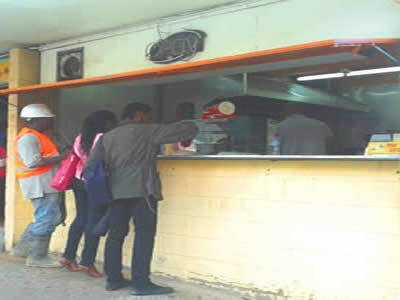 They also offer breakfast items such as sada or fry bake with fillings of eggs, plantain or choka. Their lunch menus include rice, provisions, various styles of meat, peas, beans, vegetables, soups and fresh salad as well as their popular BBQ, burgers and hotdogs. They also offer daily specials and meals of the day. 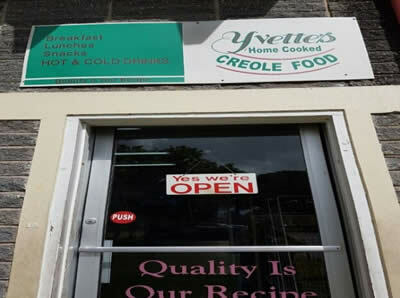 Yvette’s combines the authenticity of homestyle dining to meet the creole cuisine demands. Stop in for breakfast of fry bake with your choice of fillings such as choka and plantain and their range of pastry pies, donuts and mini pizzas. They also offer traditional homestyle lunches including rice, potatoes, ground provisions, various meat styles, baked dishes, peas, beans, vegetables, soups and fresh salads. 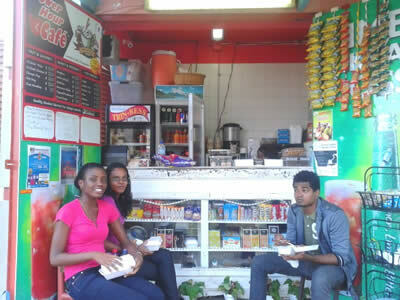 Yvette’s provides a range of snacks and beverages as well, for quick refreshments between tight class schedules.